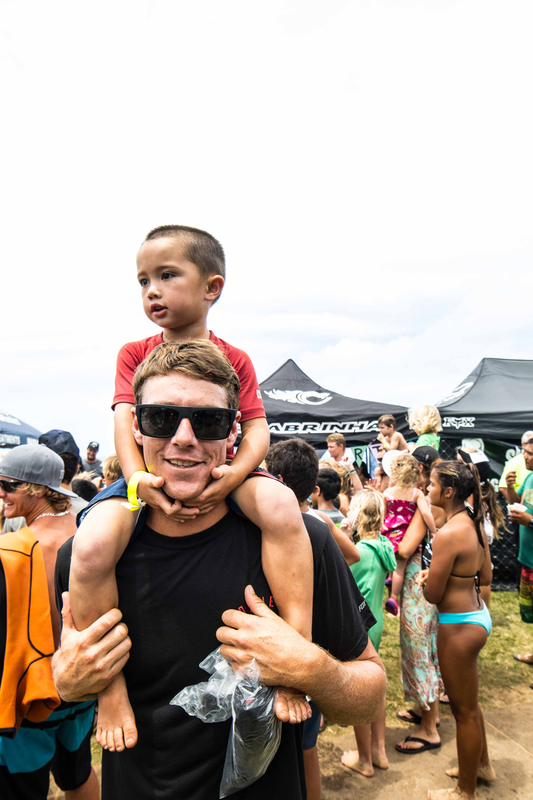 Jumpy castles, jet skis, massive floaties, a dunk tank, obstacle courses, free massages, and fun waves. 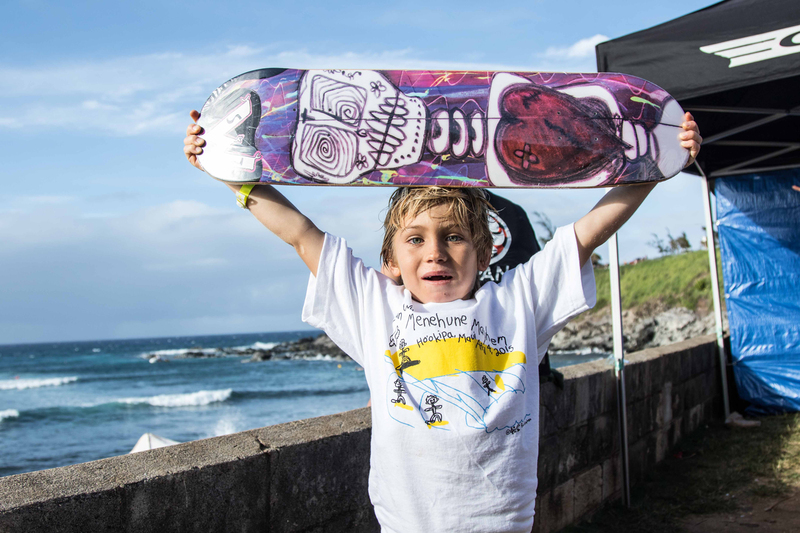 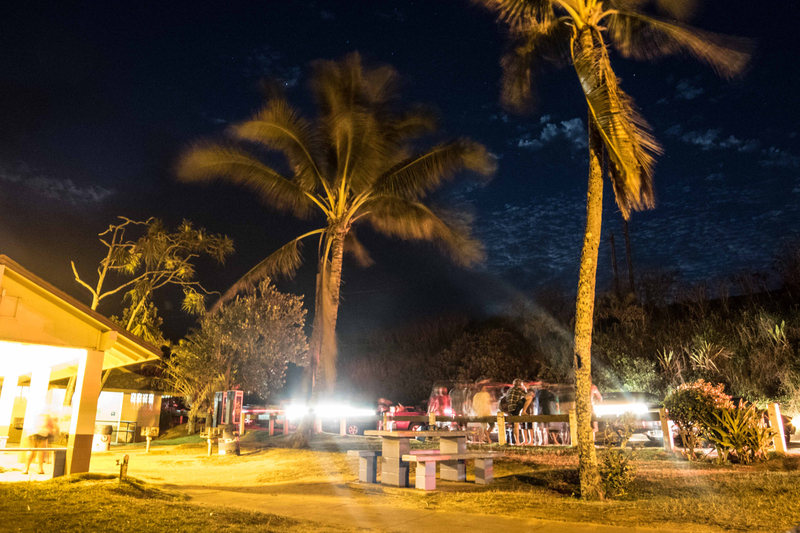 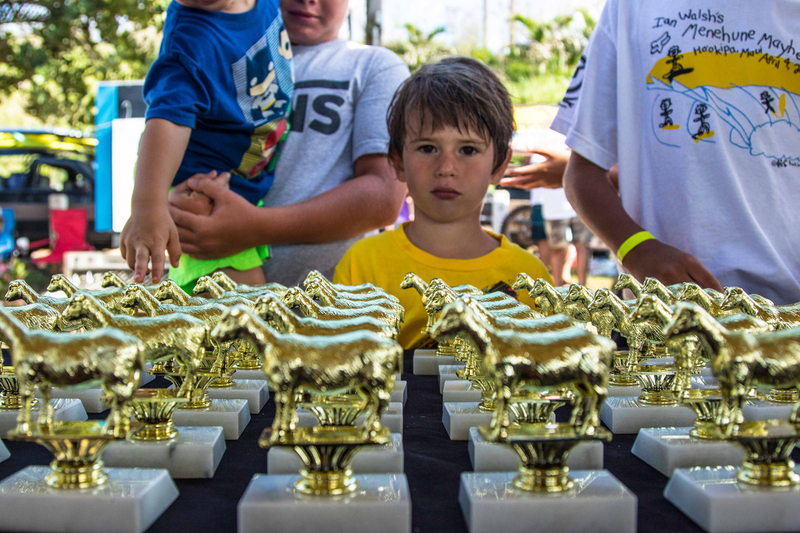 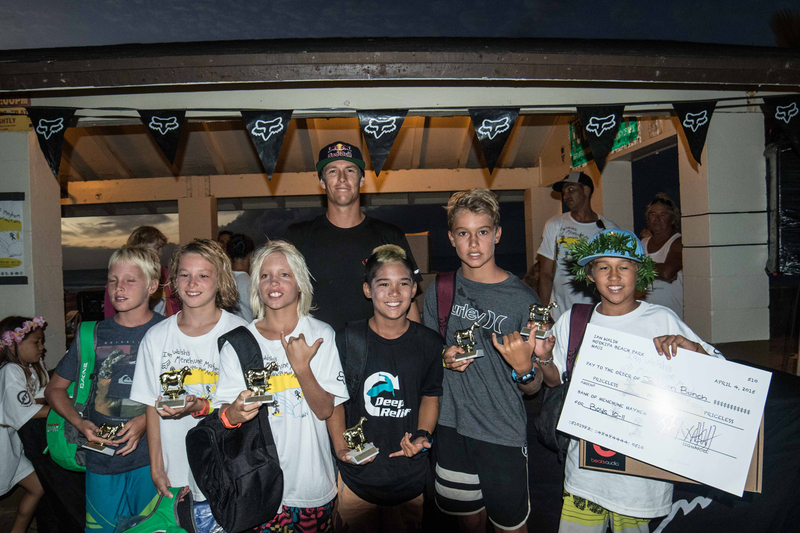 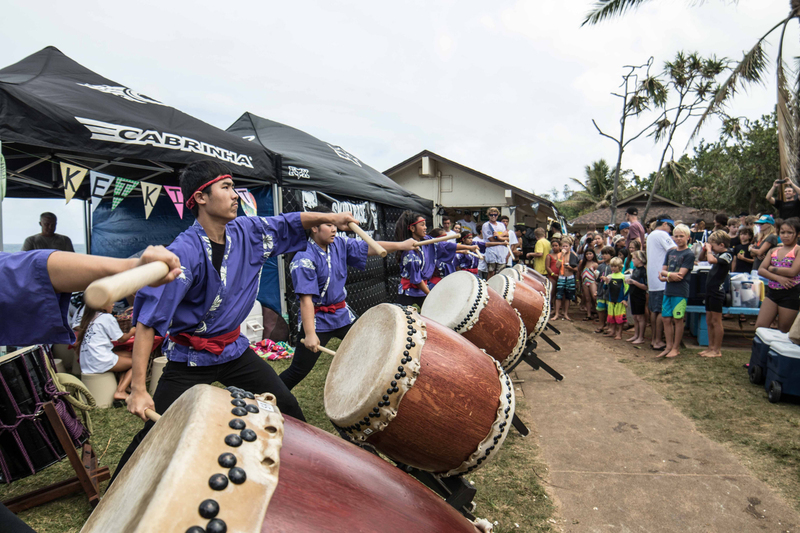 These were just a few of the things included in Ian Walsh’s 12th Annual Menehune Mayhem competition, held on Saturday April 4th at Ho‘okipa on Maui. 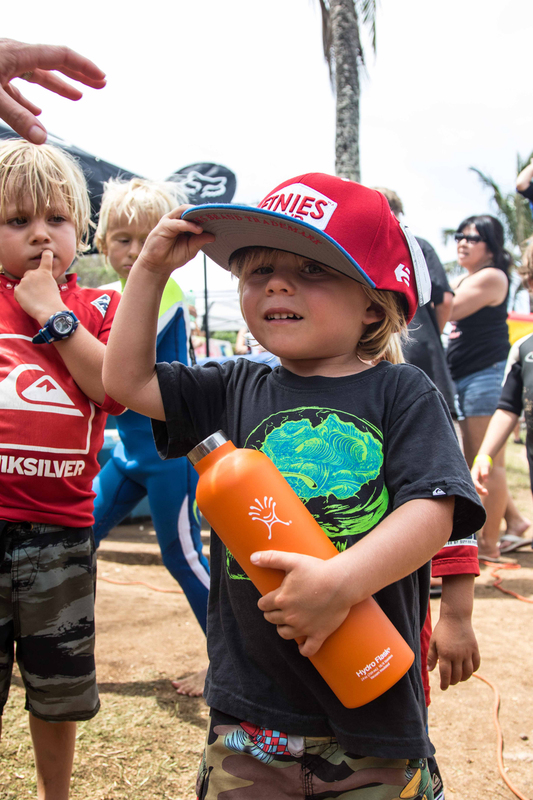 With 12 divisions and over 160 kids competing, there was never a dull moment. 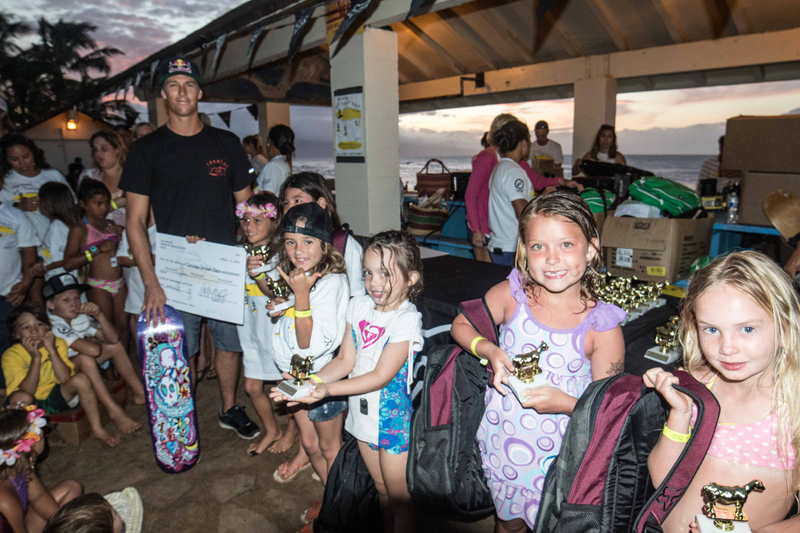 Even though the competition started around 8am, most parking spots were taken before the sun rose. 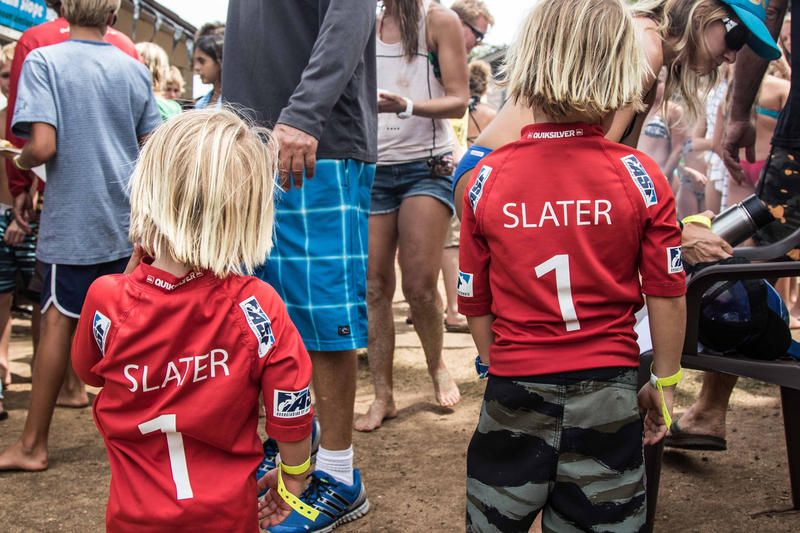 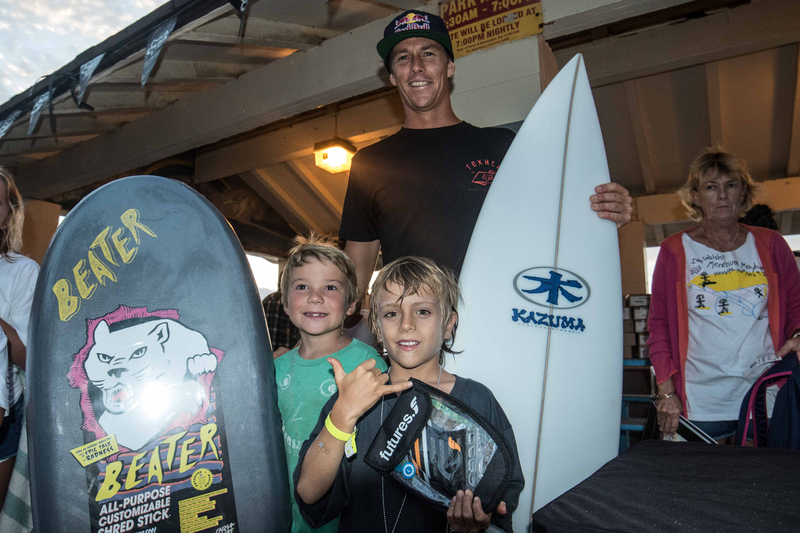 Restless groms and dedicated parents arrived early to catch a few waves and warm up before the contest started. 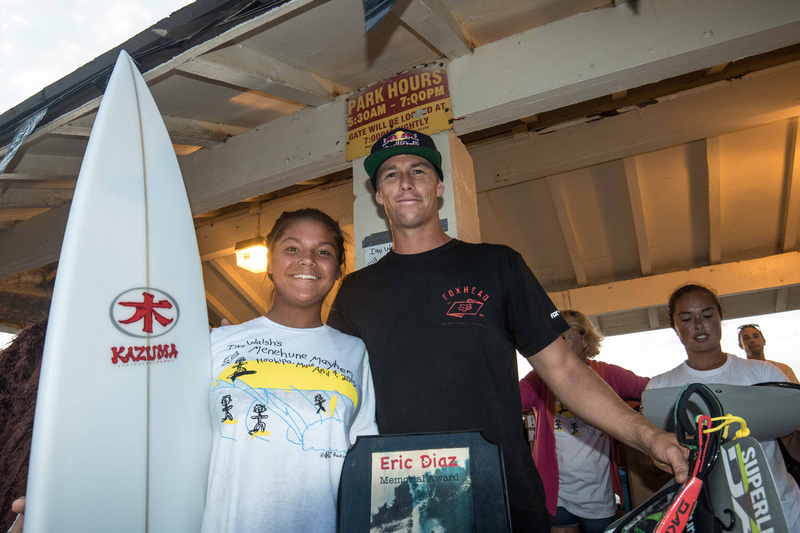 Along with the competitive surfing, Ian supported academic accomplishments as well. 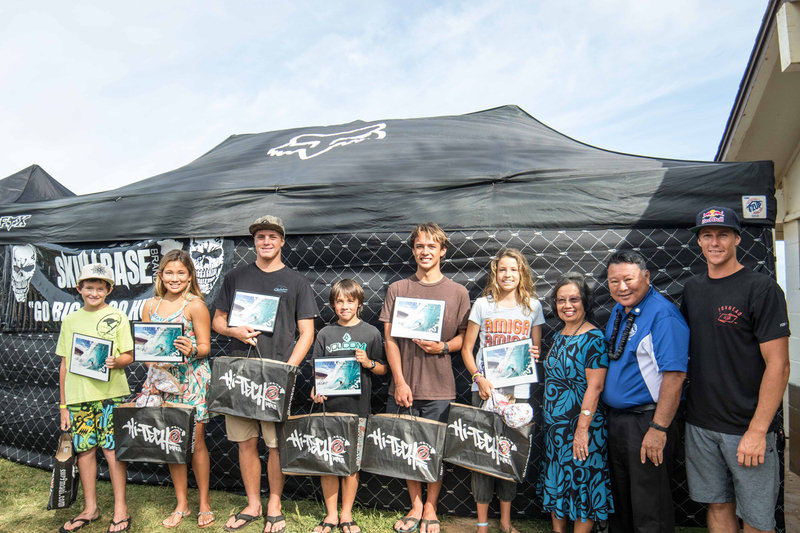 Surfers with the highest grade point averages were given awards and new HP laptops! 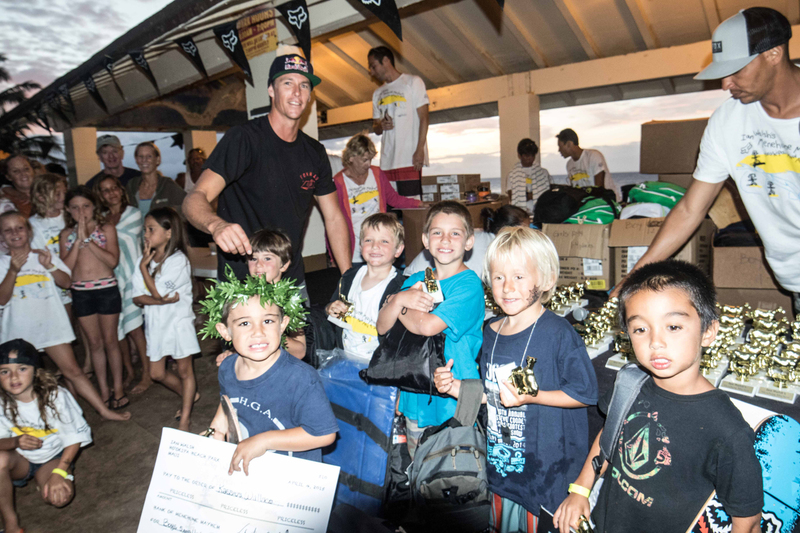 More laptops along with prize bags were also given to division winners, plus healthy snacks and hydrating drinks were provided throughout the day to keep everyone fueled. 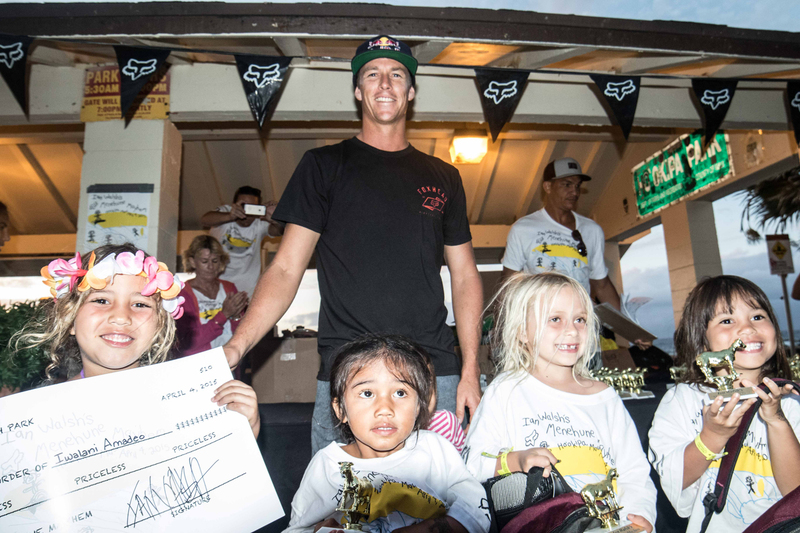 Overall, Ian fulfilled his goal of stoking all the groms out. 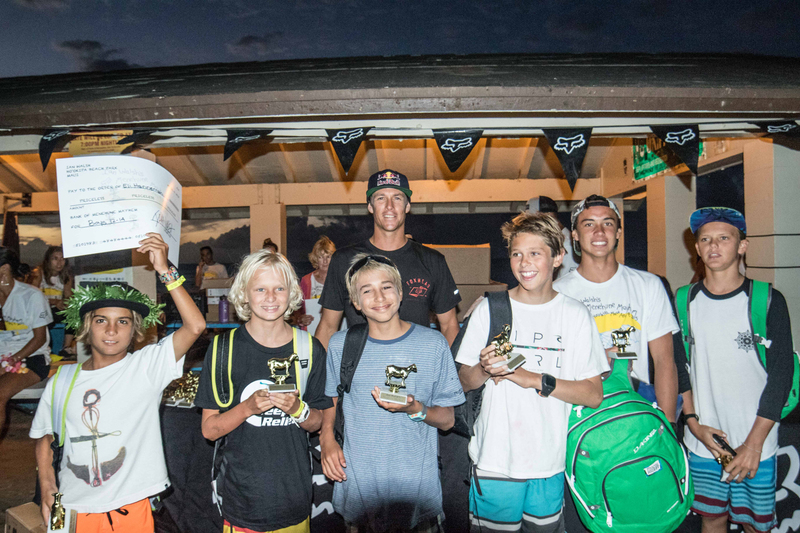 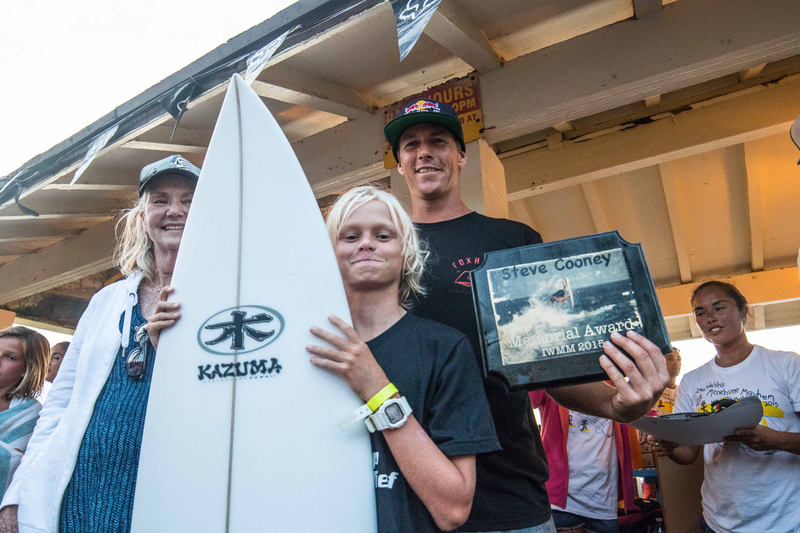 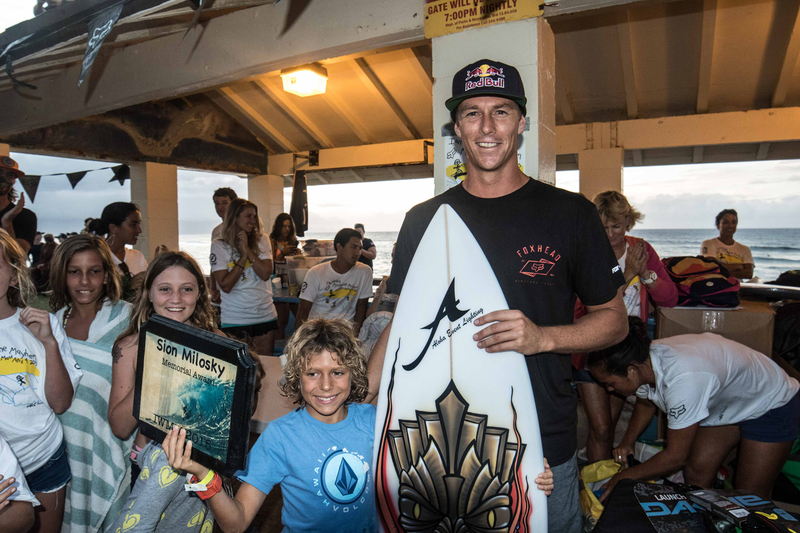 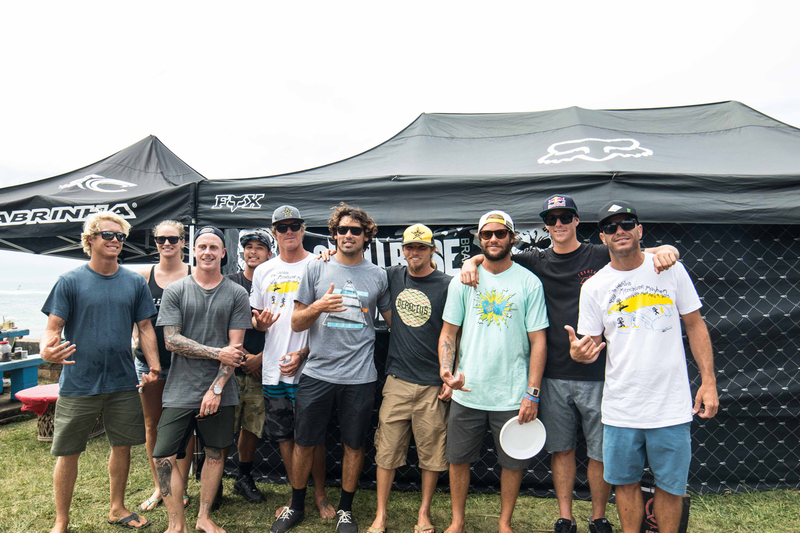 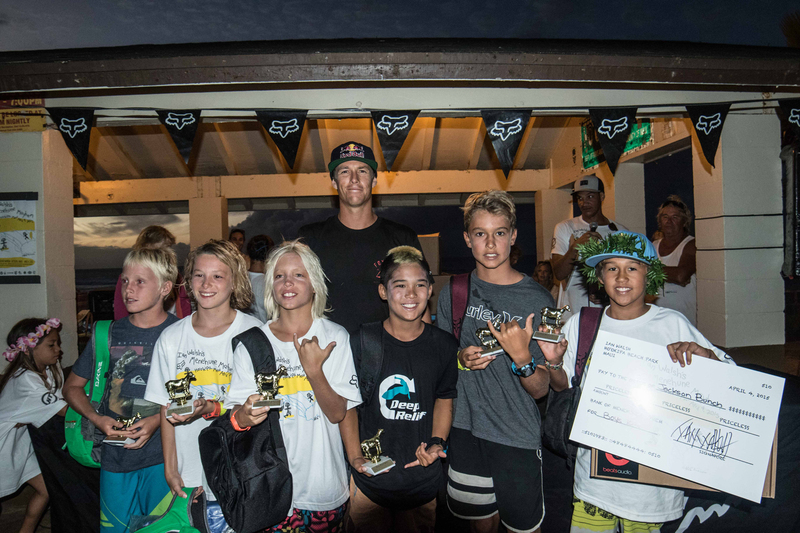 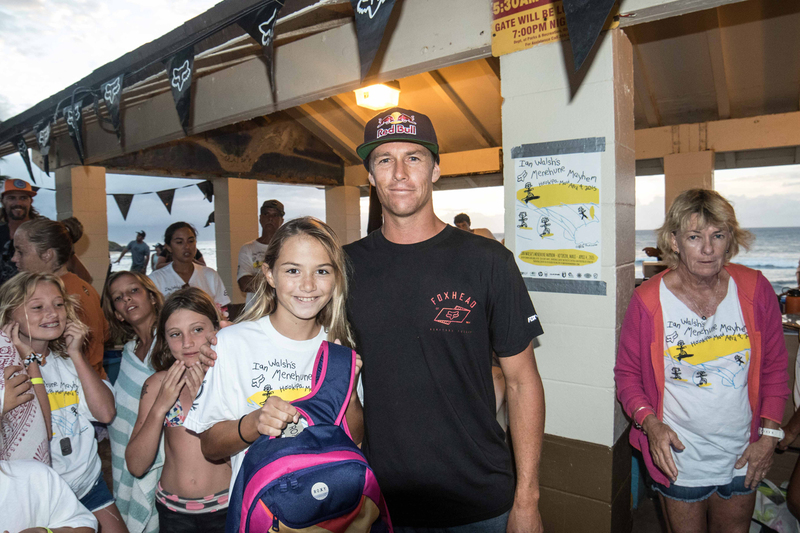 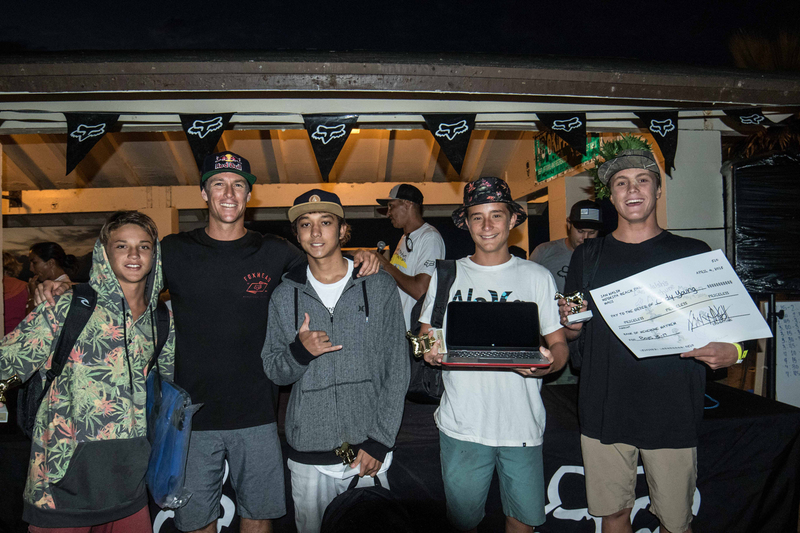 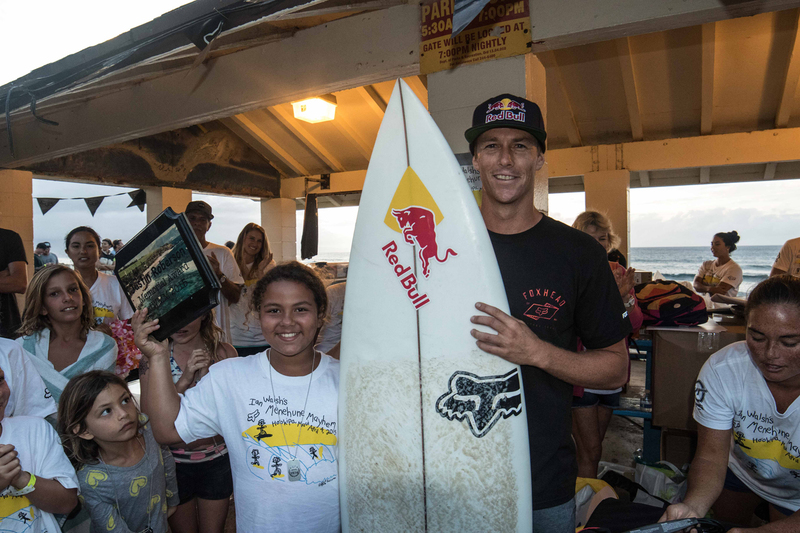 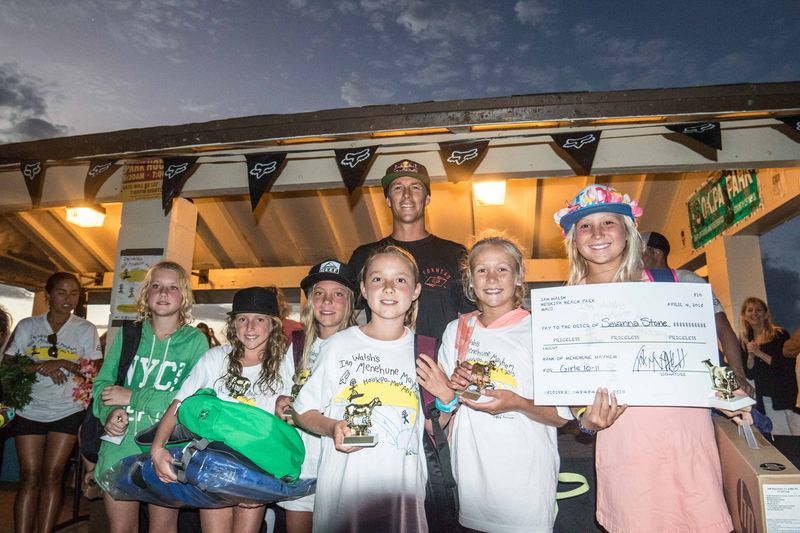 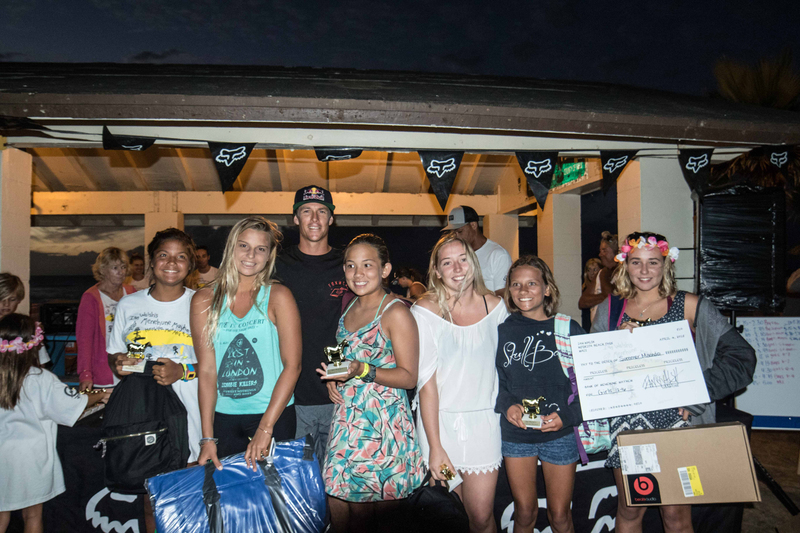 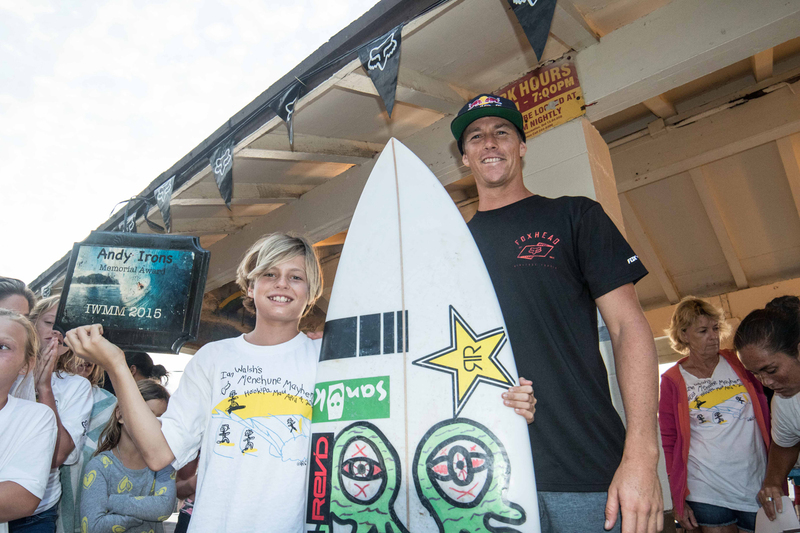 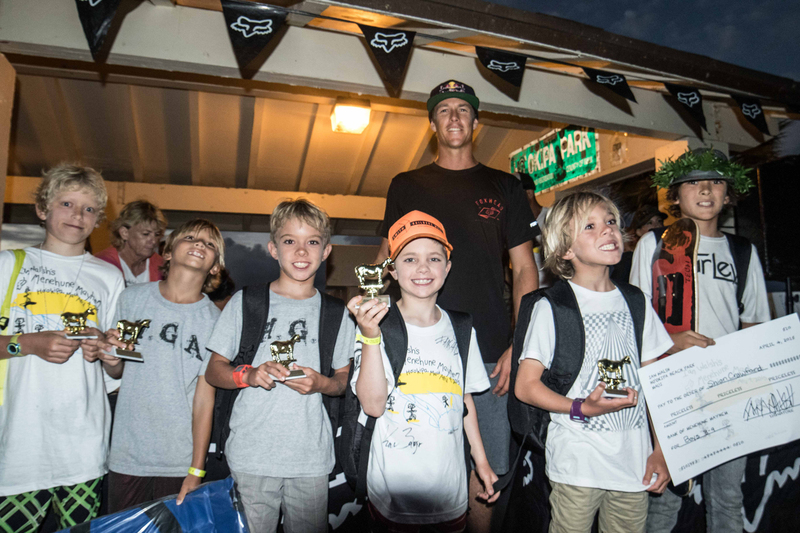 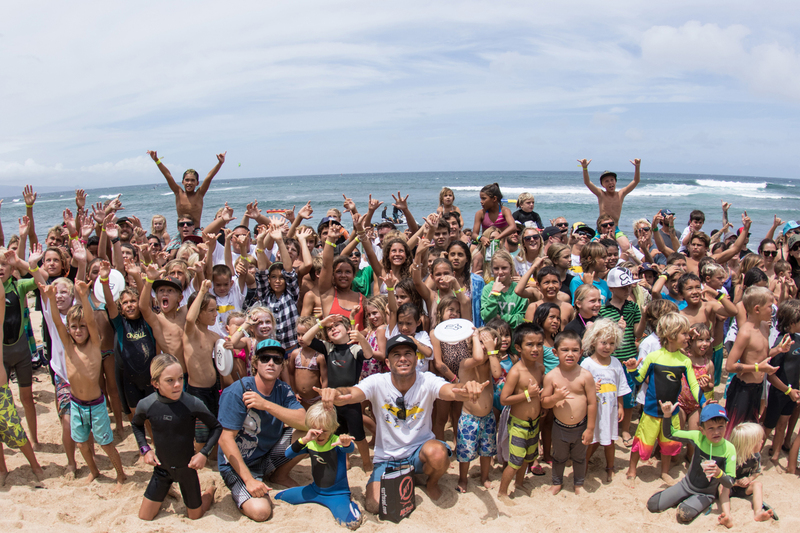 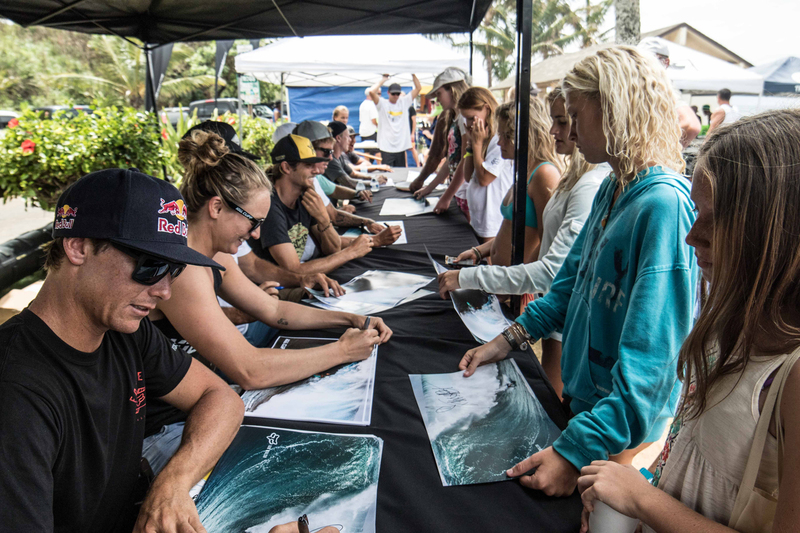 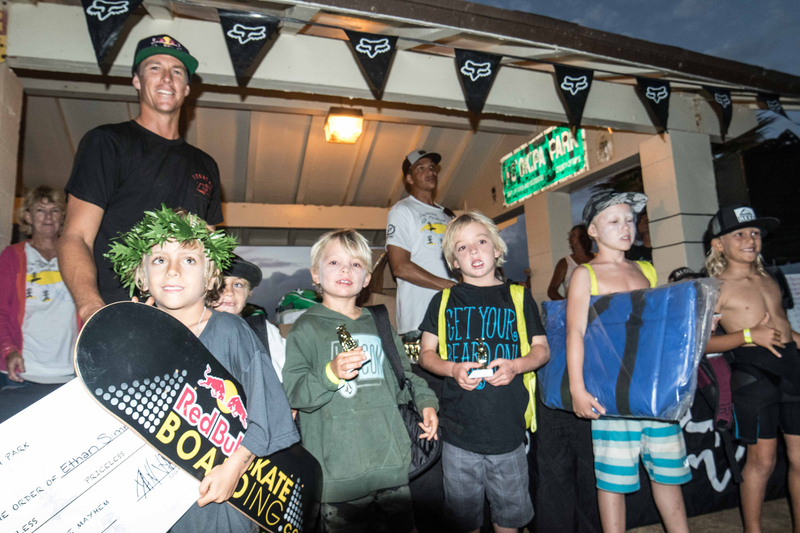 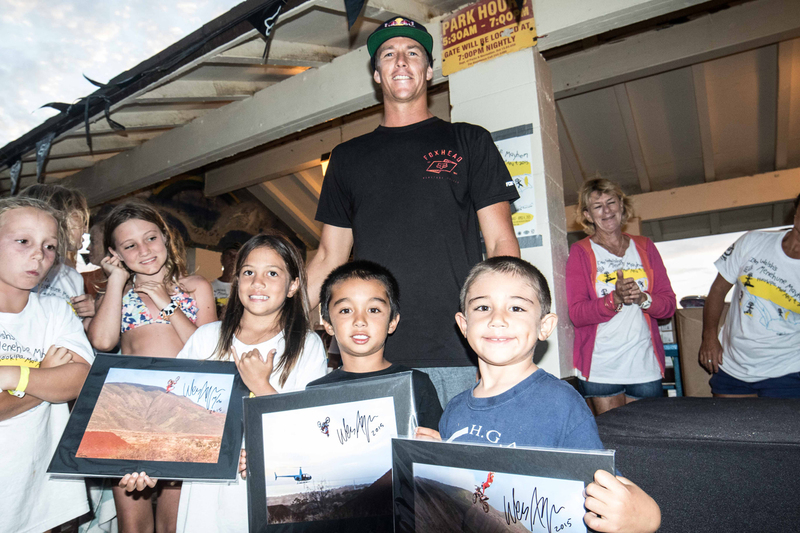 Professional surfers like Shane Dorian, Matt Meola, Albee Layer, Granger Larsen, Kai Barger, Paige Alms, Chippa Wilson and more joined Ian Walsh at the event to sign posters and autographs. 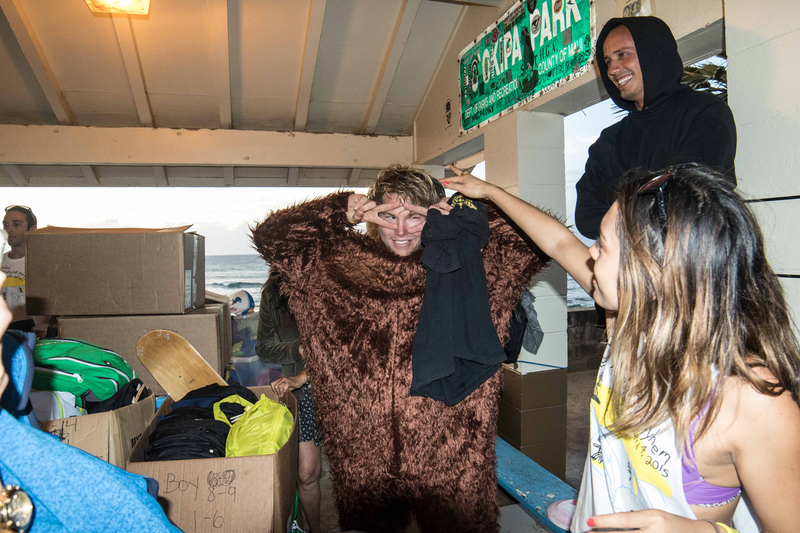 Even a huge Hawaiian monk sealand a couple turtles came to check out all the mayhem.